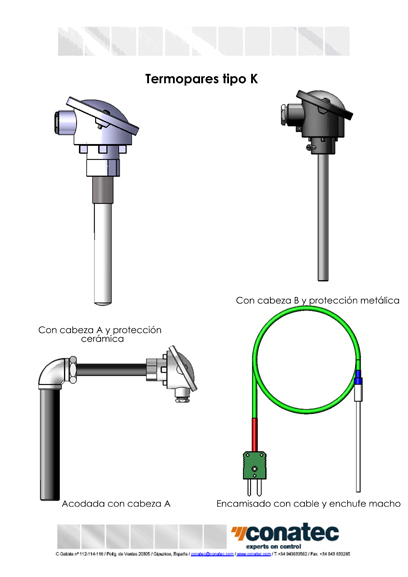 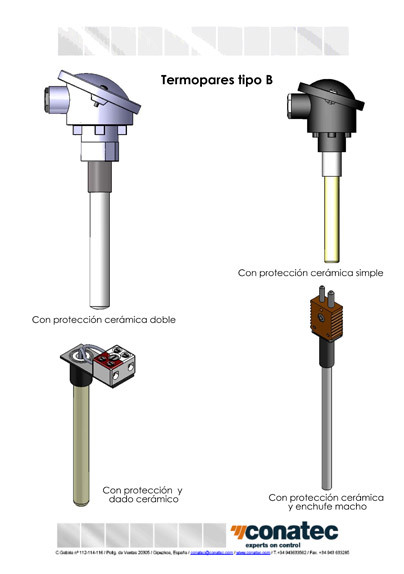 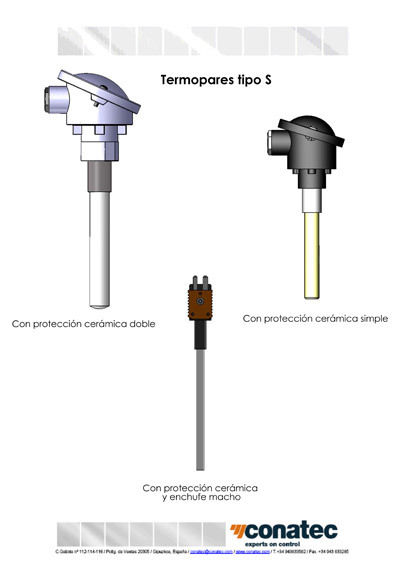 In Conatec, we manufacture all kinds of temperature sensors with Pt100, Pt1000 temperature probes, thermocouple J, thermocouple K, thermocouple S, thermocouple R, thermocouple B as well as other thermocouple types such as thermocouple T, thermocouple E and thermocouple C. During the construction process we use different exterior protection elements, both ceramic and metal depending on the applications, as well as different connection types, using standardised heads, types A, B, C, Atex or with direct output to the cable. 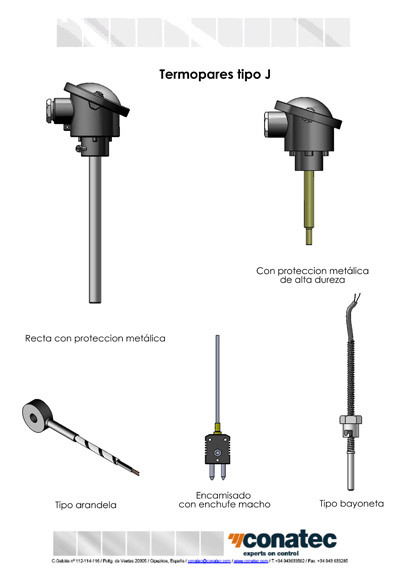 For the connection to the process fixed threads with different measurements, lead threads, flanges or special systems are used such as using bayonet, screw etc. 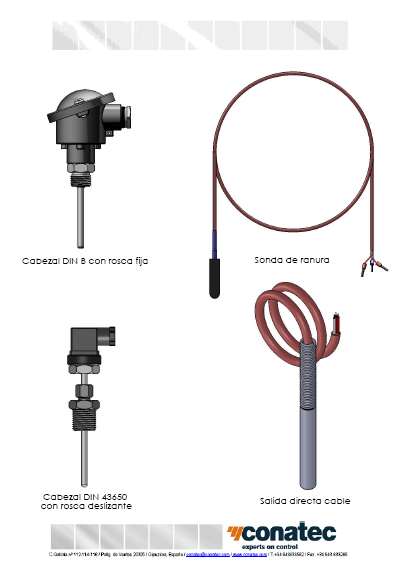 We manufacture the thermocouple or the thermoprobe concentrating on the user's needs at all times.